Gunnison County, Colorado glistens in golden glory. We made a circle trip from Mt. Crested Butte south on CO135 to Gunnison, returning via Ohio Creek Road and Kebler Pass Road back to Crested Butte for an early dinner at the Last Steep. 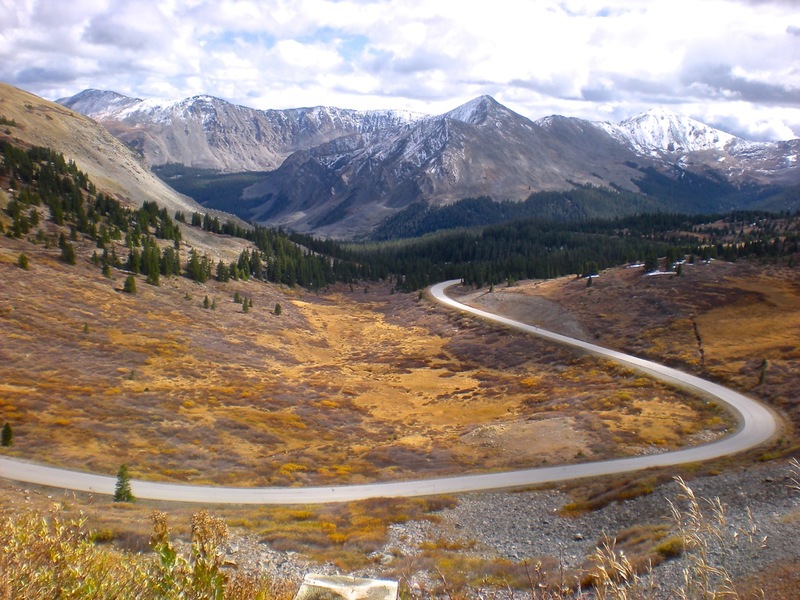 A drive to the west side of Kebler Pass for evening pictures concluded the day’s photography. Stream side willows, massive rows of giant hay rolls, cattle roundups, aspen groves covering entire mountain slopes, jagged peaks, and curious clouds provided an awesome autumn day. A real mix of weather as we drove from Denver to Crested Butte, Colorado today. Sunshine as we left Denver, the clouds and rain in the city’s forecast had already reached the foothills with periodic sun breaks. While the groves of aspen on Kenosa Pass are past their prime there’s still some nice color when we catch one of those sun breaks. As we turn south at Fairplay we’re thankful we’re not headed north across Hoosier Pass to Breckenridge – clouds are thick and black. Mountain peaks and ridges dusted with snow warn of the coming winter. Enjoyed a beefy lunch at Quincy’s in Buena Vista. Although the menu is limited the quality is very good. They were slammed with noon hour business but our waitress couldn’t have tried harder. We’ll definitely stop here in the future. 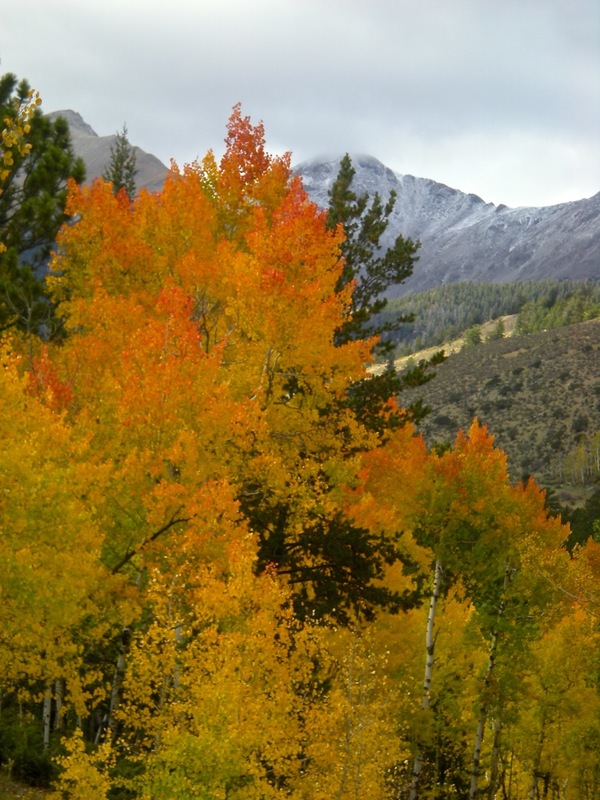 Aspen, willows and cottonwoods in autumn glory graced the slopes as we headed up Cottonwood Pass, west of Buena Vista. A short side road ramble to Cottonwood Lake rewarded with great color, smooth dirt road and little traffic. Temperature atop the pass was a nippy 43 degrees with a stiff breeze and threatening skies along the mountain ranges to the northwest. By the time we reached Taylor Reservoir the sun had won the battle. Road construction through the Taylor Canyon seems to always be a given. This year’s project stretches for eight miles, today requiring slowly following a pilot car. At least we lucked out and only had to wait a few minutes for our turn through. The final ten miles into Crested Butte offer a sunny promise of the outstanding scenery and color we’ll enjoy in the coming days. Son, Eric, joined us for fried chicken dinner at Slogar’s, a long time Crested Butte favorite. (See a full review at The Slogar…) The family-style service includes relish tray including spiced pear slices, cottage cheese, slaw, homemade tomato chutney, mashed potatoes, gravy, corn in cream, warm biscuits, honey butter, strawberry jam and, of course, skillet fried chicken. We waddle away from the table nearly in a food coma but oh, so satisfied. 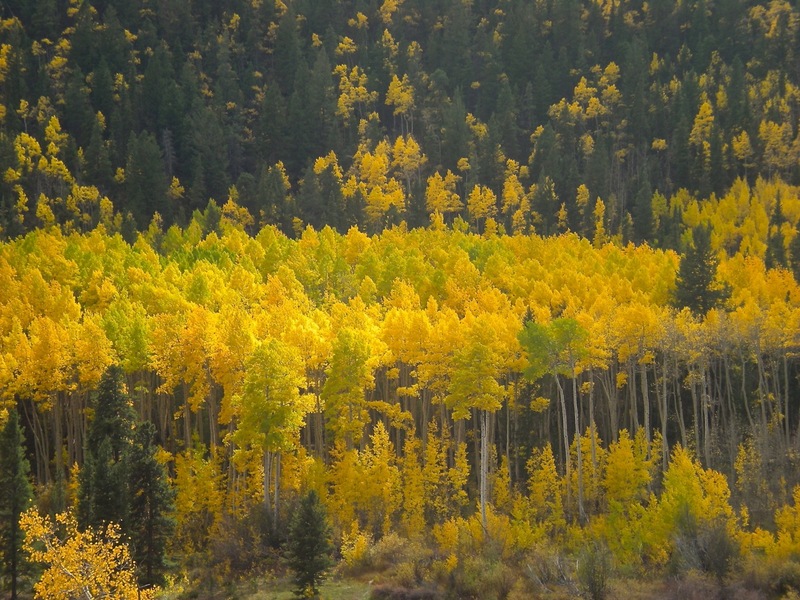 Colorado is glistening in autumn glory – the aspen are golden and the elk are bugling. However, we all must be alert, every elderly driver needing to relinquist their license is out on the roads. Watch for large sedans inching along 30 mph under the speed limit, sudden stops, turning right from the left hand lane and parking in traffic lanes. You’ve been warned, stay alert and safe. 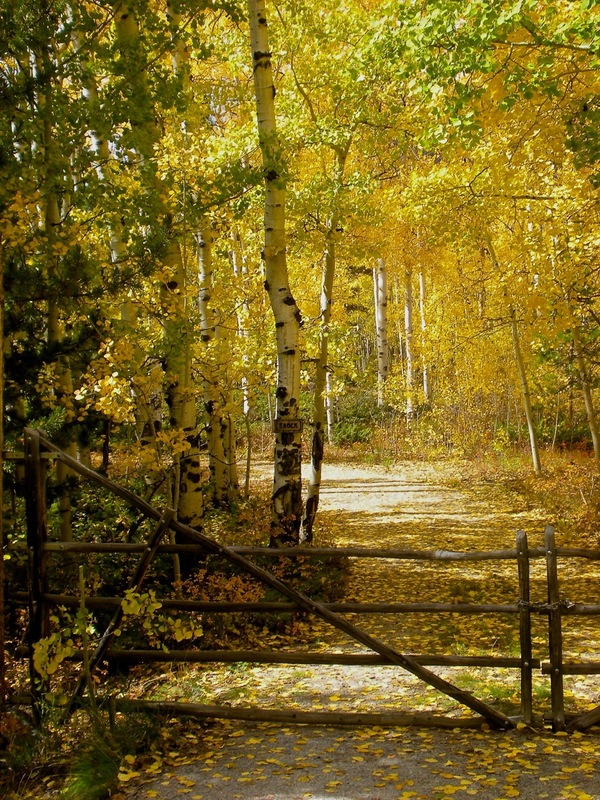 Enjoy autumn splendor in Colorful Colorado.